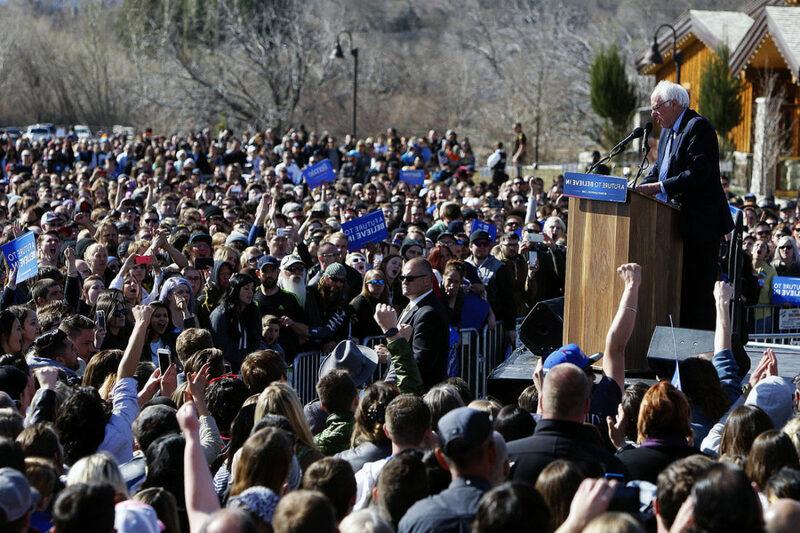 Bernie Sanders visited Utah Friday with a message of reunification for Democrats. Utah voted overwhelmingly in favor of Bernie during the 2016 primaries, earning him 79% of the Democratic vote. Although he had strong support in the primaries in UT, the superdelegates were not behind him. Many Democrats for Bernie felt that their party wasn’t representing them, and that Bernie had been swept under the rug, even though he had overwhelming support. Many feel that this ultimately gave the election to Trump. This schism was seen in many places throughout the country, and has lead to fracturing and mistrust within the Democratic party. Bernie has been traveling across the country, visiting places that supported him during the primaries to try and reunite the party. Bernie spoke primarily about his core issues, including health care reform, eliminating tax-loopholes for the rich, protecting the environment, raising the minimum wage, women’s health rights, reducing student debts, and peaceful relations with other countries. Bernie has been consistent with his support of these issues for many years, and in that sense, his speech was mostly the same as it has always been. Many people hope that Bernie will attempt to run for president again in 2020. Many voters also feel that he will be too old. Speaking with people in the crowd, the general sentiment is that they’d like for him to be president in 2020, but feel that that might not be realistic as he seemed to be taxing his health significantly during the 2016 primaries. That being said, he might be the one candidate that can unite a mistrusting Democratic party. Utah, a consistently red state, saw record democratic turnouts during the 2016 primaries. Overall, this rally seemed to be Bernie’s way of patting Utah Democrats on the back, and saying “everything’s going to be ok if we work together.” Although the crowd was clearly overwhelmingly in support of Bernie, they seemed jaded and upset. Only time will tell if a Democratic party leader will be able to step up and engage the Utah Democrats as effectively as Bernie. Here’s a link to a video by KUTV of his speech.